Death by crucifixion was surely one of the cruelest and most painful forms of execution ever devised. Yet the Lord Jesus “for the joy that was set before him endured the cross” (Hebrews 12:2); He “hath once suffered for sins, the just for the unjust, that he might bring us to God, being put to death in the flesh, but quickened by the Spirit” (1 Peter 3:18). But just as He sacrificed Himself for us, we are now privileged to offer our “bodies a living sacrifice” to Him (Romans 12:1). This spiritual sacrifice is actually compared to crucifixion. “Our old man is crucified with him, that the body of sin might be destroyed, that henceforth we should not serve sin” (Romans 6:6). Crucifixion is not an instantaneous death but a very slow and painful death. Just so, the death of a Christian believer to sin does not take place in a moment of special blessing, but—as in physical crucifixion—is painful and slow. Nevertheless, it is basic in the truly effective Christian life. In the book of Galatians, we are told three times by the apostle Paul that the Christian believer should be following Christ in His crucifixion—in crucifixion to self, to the flesh, and to the world. First we are to be crucified to the love of self. “I am crucified with Christ: nevertheless I live; yet not I, but Christ liveth in me: and the life which I now live in the flesh I live by the faith of the Son of God, who loved me, and gave himself for me” (Galatians 2:20). Secondly, we are to be crucified to the flesh, for “they that are Christ’s have crucified the flesh with the affections and lusts” (today’s text). 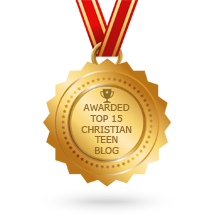 This entry was posted in A CLICK A BLESSING TODAY, CHRISTIAN LIFE AND THE WORD, CHRISTIAN NUGGETS, CHRISTIAN TAGALOG BLOGS, CHRISTIAN TEENS BLOGS and tagged crucified with Christ, Flesh, instantaneous death, painful, self, slow, World. Bookmark the permalink.